Today’s happy couple are Ryan and Paula. They got married last October at Loseley Park, near Guildford in Surrey and the reception took place in the Tithe Barn there. 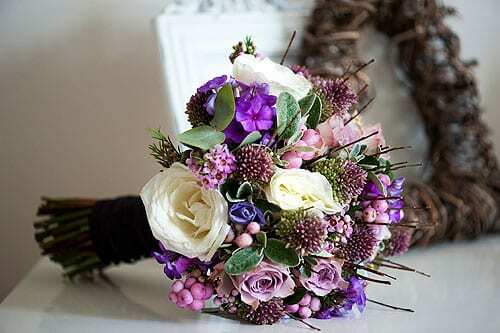 The florist who created the couple’s wedding flowers was Nikki Whiting of Senses Floral Design. 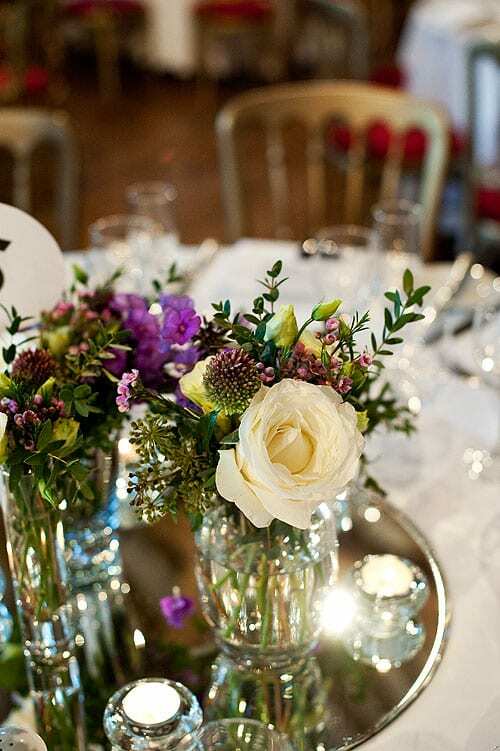 At the reception, the tables were decorated with either four glass vases or tall silver candelabras placed on a mirror plate, surrounded by glass tea light holders filled with a mixture of blooms used in the bridal bouquet. 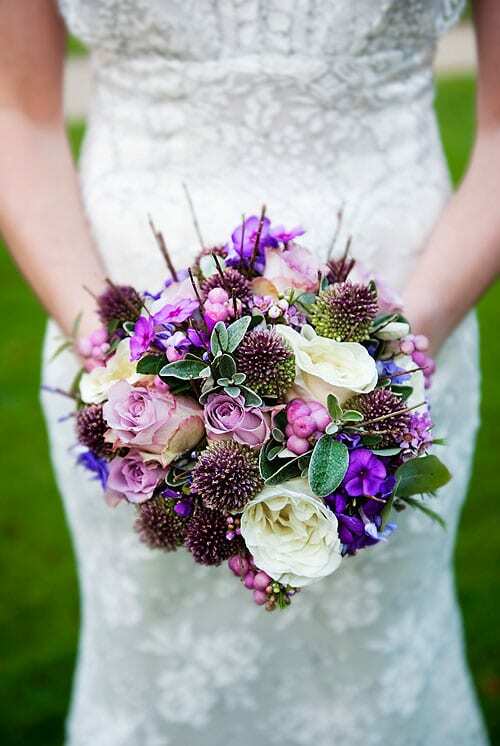 As for Nikki’s background, she has been involved in floral design for more than twenty years and specialises in weddings. She works from her studio in New Malden in Surrey. 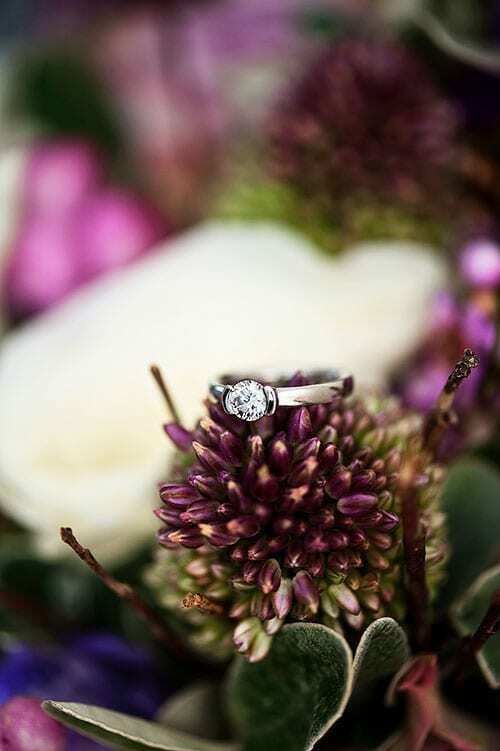 Nikki has been fortunate enough to have dressed some of the most beautiful venues in the country, like Le Manoir aux Quat’Saisons, Claridges, The Barn at Bury Court, The Walled Garden at Cowdray, Wentworth and Amberley Castle to name a few. 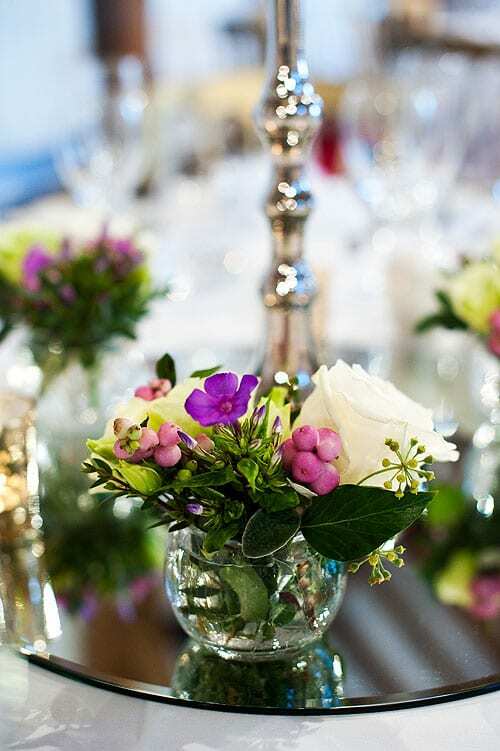 Juliet said that Paula decided to contact Nikki after she’d seen a beautiful bouquet that she’d done for a styled shoot of Juliet’s featuring gorgeous blue hydrangeas. Paula arranged to meet Nikki and said that she came to her home and offered a really personal service. 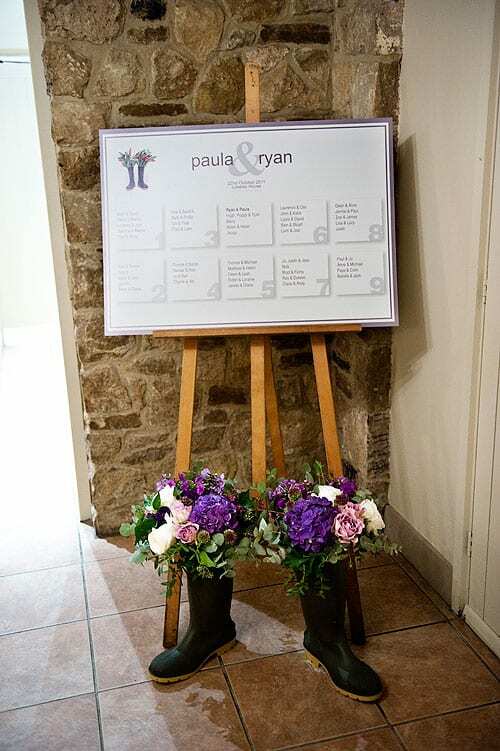 Nikki listened to Paula’s ideas helping her to choose something that would complement her dress, whilst helping her to achieve the style she envisaged. 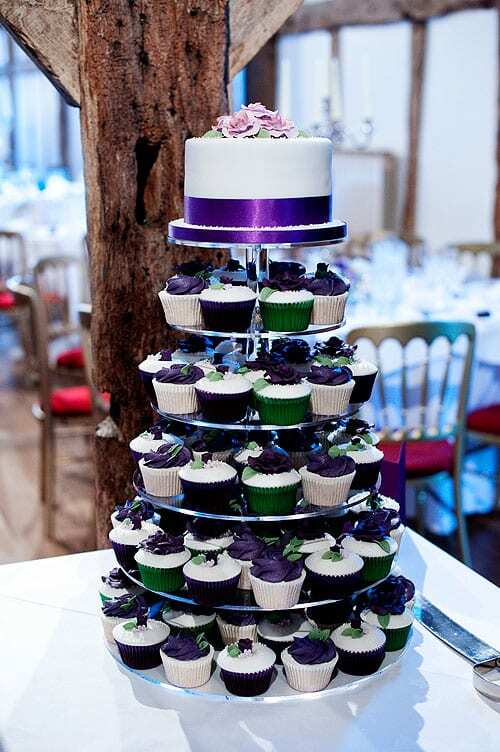 Here are some more photos of the wedding flowers and the floral-inspired cupcakes, which were made by The Magical Cupcake Company. I hope you’ve enjoyed reading today’s blog post. The wedding was captured by photographer, Juliet McKee. Please do tune in from lunchtime today to read a Q&A with Juliet. P.S. 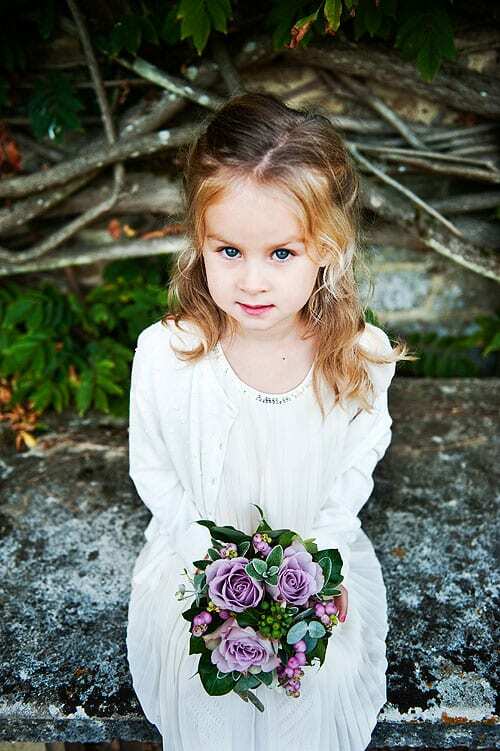 Isn’t the photo of the bridesmaid just so gorgeous? 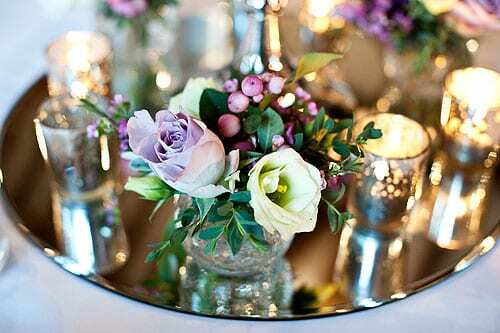 Pretty purple flowers. 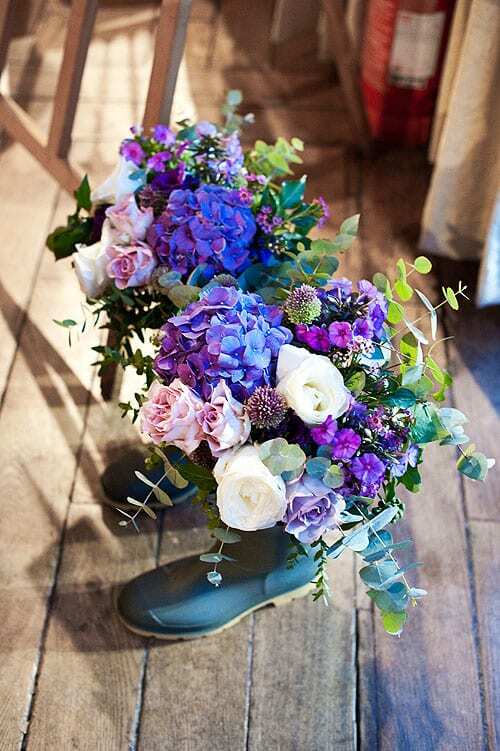 Especially love the flowers in the rubber boots. Our perfect day was made all the more special thanks to the amazing Juliet (Photographer), Nikki (Florist) and Sam (Cakes). Thank you very much Ryan for popping by my blog and for your lovely comment :-). 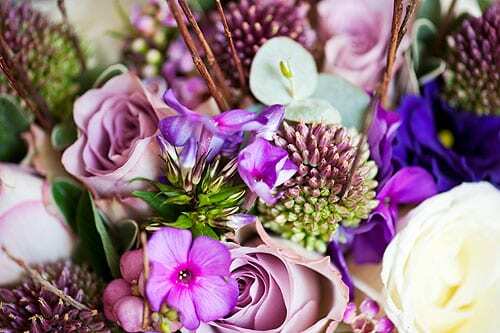 Purple is such a wonderful winter colour as it brings a real richness and almost texture like quality as opposed to red’s and white’s which tend to feel a little like Christmas.